What We Did During Weeks One and Two – Homeschooling in the "D"
The first two weeks of homeschool flew by. We took things pretty slow and easy as the Waldorf curriculum we’re following suggests. Most of our “school time” was spent learning about bees, per my oldest sun’s request. We watched movies and TV shows, read books, and drew pictures that were all about bees. Bees are very fascinating creatures and they play a much bigger part in the environment, especially regarding our food supply, than I ever could’ve imagined. They also dance. Yeah, I had no clue. Insects after my own heart! Here’s the unit study overview I created for our bee unit: All About Bees It’s the first one I’ve done and it offered a great framework to help us learn about all types of bees. 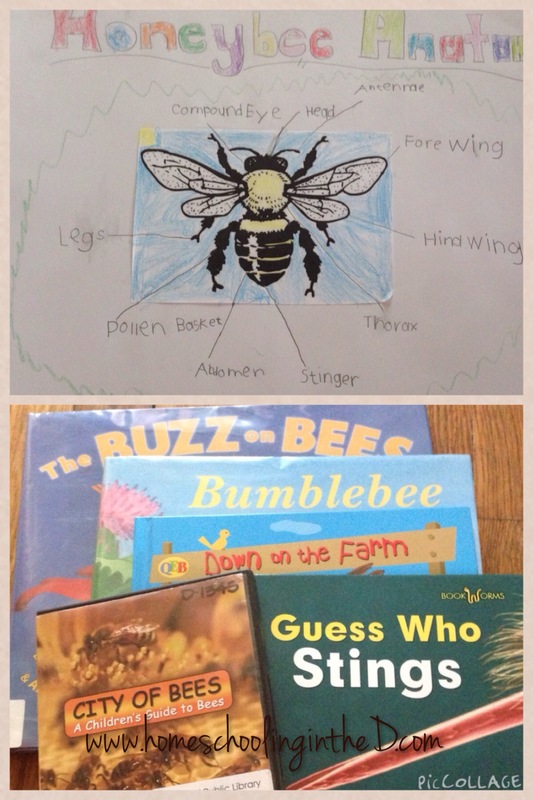 We didn’t get to everything on the list, but we covered enough to have a good understanding of how bees live. Feel free to use our unit study as a foundation to create your own bee unit study. 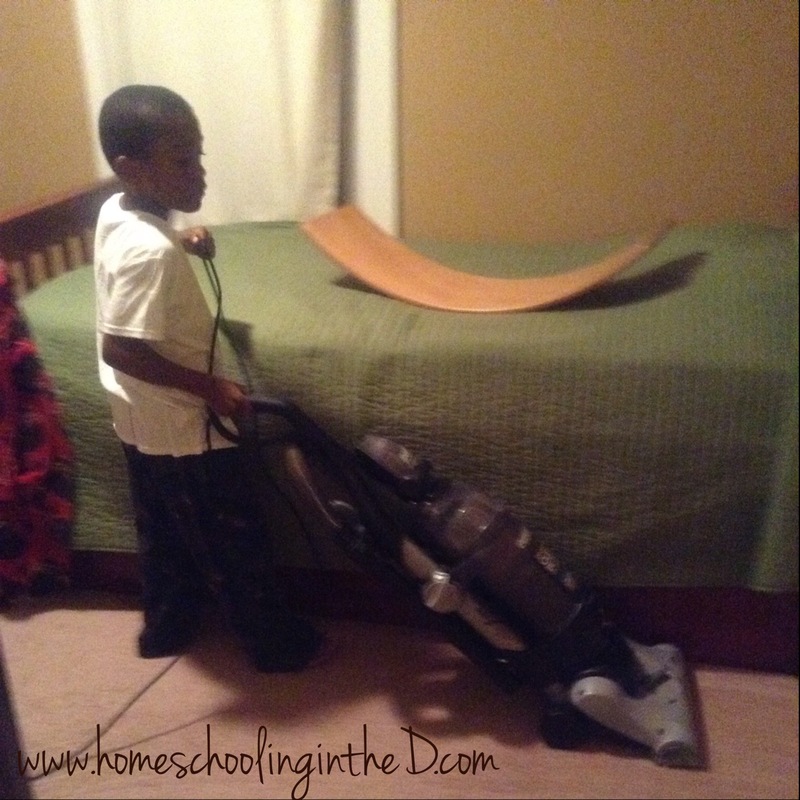 First time vacuuming! He did a great job. We also started going to our homeschool co-op at the end of week two. This is our first year participating in a co-op, and I’m glad we waited until we were more familiar with our approach to homeschooling before jumping in with both feet. B picked his own classes that include bike repair, cooking, and introduction to Spanish. Z, my youngest, had his first taste of preschool and he was all about it. He ran right up to the other kids and started playing like an old pro. No crying or anything. Good stuff! Overall, both boys enjoyed themselves, and we look forward to going again next week. Oh, and the first day of co-op was so crazy that I only got one picture. I’ll do better next week! 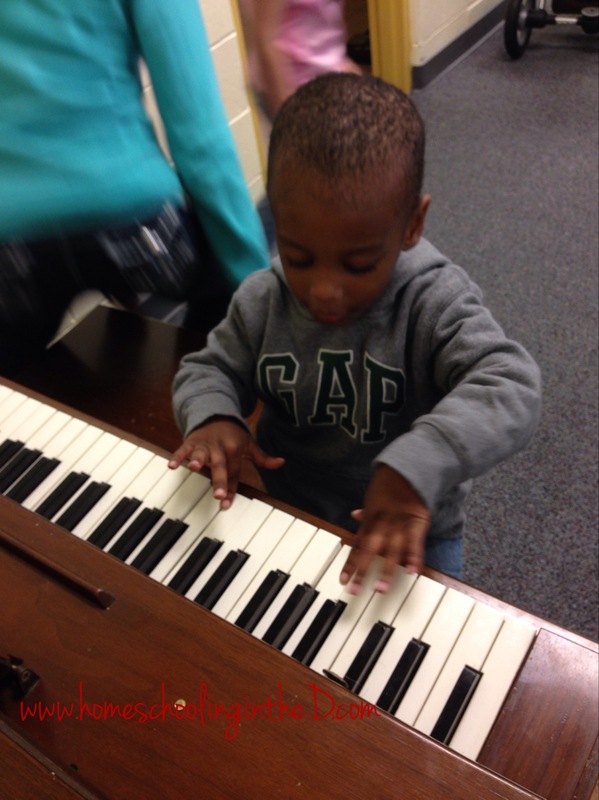 Caught Z playing the piano! Next week, we’ll start language arts and, hopefully, finally get to bake some banana bread and pumpkin cookies to welcome fall. Next postOctober Unprocessed Starts Today!